Arcade machines hold a special place in our hearts, at least for those of us who are old enough to remember the proper ones. Once upon a time these massive monoliths were the only way a kid could place video games, and as a result arcades were a very popular place. 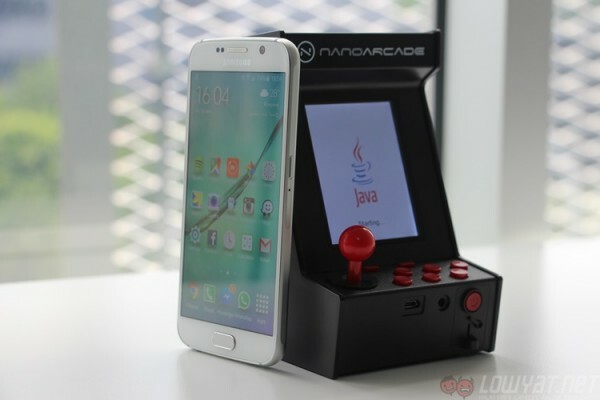 One company believes that it can bring the wonder and joy of playing on an arcade machine to the mobile gaming mindset of today. Meet the Nanoarcade. 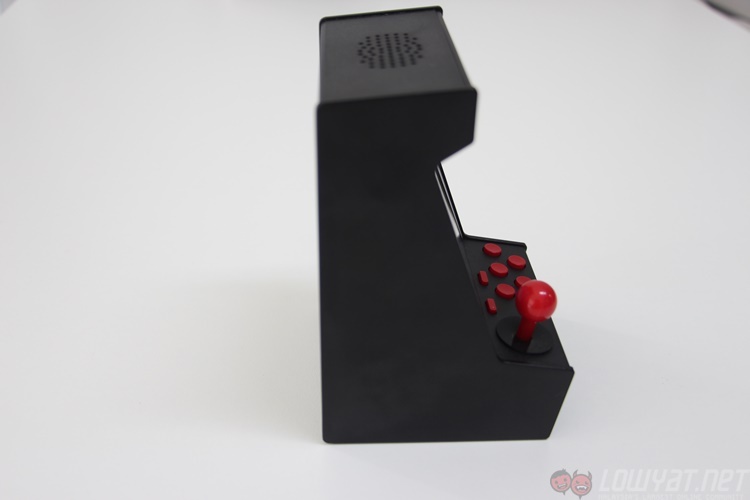 It is literally a tiny arcade machine. 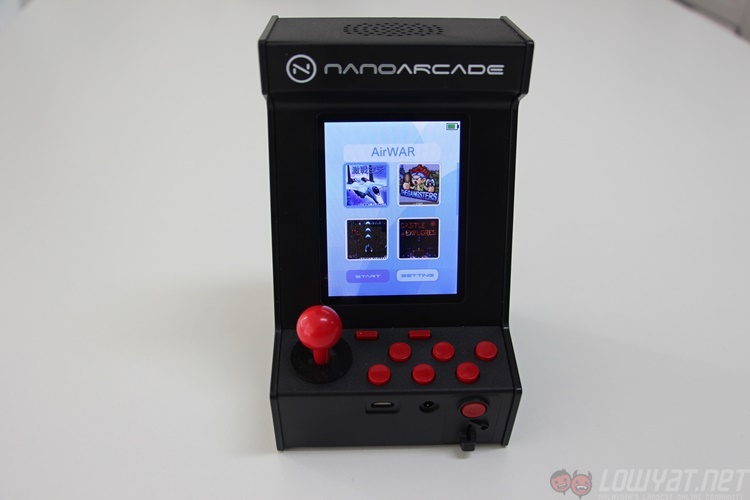 Originally funded from a Kickstarter campaign, the Nanoarcade is what you get when you take an arcade machine and shrink it down to fit in a human hand. 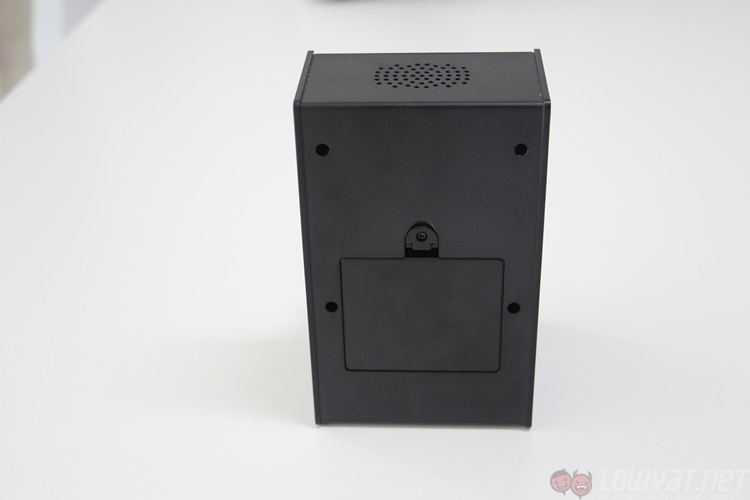 There is the joystick and buttons that one expects from an arcade machine, not to mention the (non-functional) molded coin slot in the chassis. Of course, there are the other concessions to being a mobile device as well. 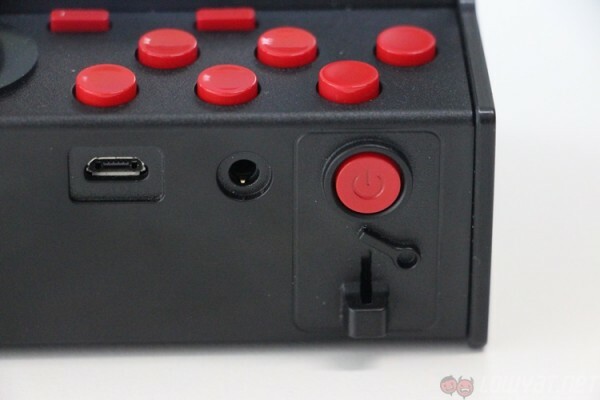 A power button sits above the coin slot, and a pair of Start/Select buttons are above the regular buttons. The Nanoarcade ships with eight games, none of which are anything anyone would recognise. These appear to be Java clones of popular old arcade games, and aren’t all that remarkable. Unfortunately, the UI doesn’t take on a retro look; instead choosing to look like something from a feature phone from the year 2000 instead of a 1980s gaming machine. I cannot decide if this is a bad thing or if I really do miss the horribly garish and tacky 16-bit title screens from yesteryear. 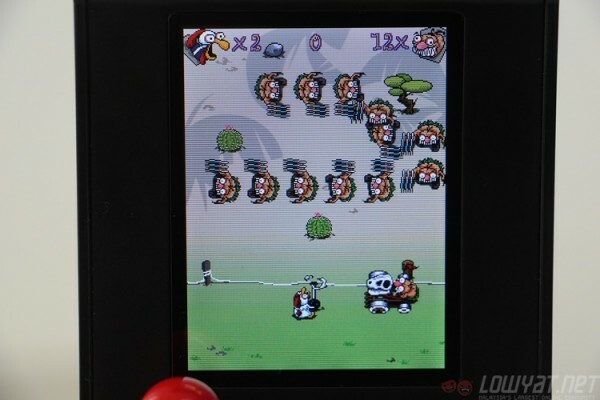 It certainly achieves what it sets out to do, and there is the novelty of playing games on a tiny arcade machine. As stated before, the games themselves are nothing to shout about, but are good for a short distraction nonetheless. Those looking for top of the line triple A games shouldn’t be here. 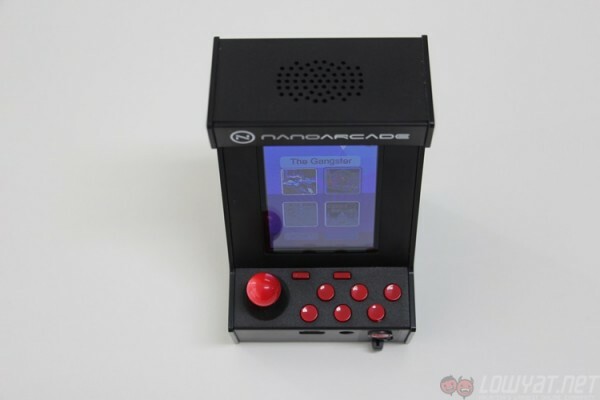 There is the option to add games to the Nanoarcade using the microUSB port, although there is no indication of how much storage space is available to the machine – the Nanoarcade website says there is 256 “Mbit”. However, considering how tiny Java games are compared to the gargantuan sized files for games today, storage isn’t really a concern here – nor is the 32MB of RAM. Of course, getting hold of Java games these days is a whole other story; Nanoarcade says you can find some at its website, and that you’ll need to search for J2ME Java games online for more. Those in the Symbian era would be familiar with the restrictions of J2ME games that support a resolution of 240 x 320. The construction of the machine itself is quite sturdy, and it feels like it can handle its fair share of knocks. It might be interesting a kids toy. Something to keep them busy and quiet, especially for parents who don’t want their kids on a tablet where they might accidentally buy something. 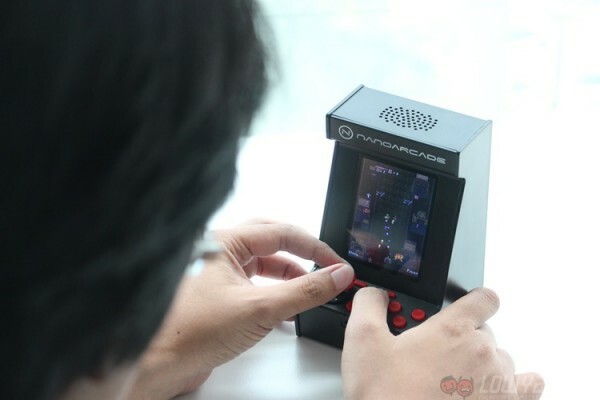 Yes, Nanoarcade (the company) mainly played to nostalgia to get this funded, but the Nanoarcade (the machine) doesn’t feel like something that will be able to drag people away from their gaming rigs and consoles – or smartphones for that matter. The Bad Stuff. Tell Me. Oh boy…. the bad stuff. There is quite a bit here. Basically, the Nanoarcade is a machine that does too little too late. If it appeared in the early 1990s, this would have been a work of art. However, it arrives in a world where people have more computing power on their wrists than the entire Allied Enigma codebreaking team in World War II. Nobody wants to play Java games these days. At least not on something that costs this much. The Nanoarcade costs US$65 (about RM245), and for that same price one can easily pick up an off-brand tablet. The experience will be about the same in the end. 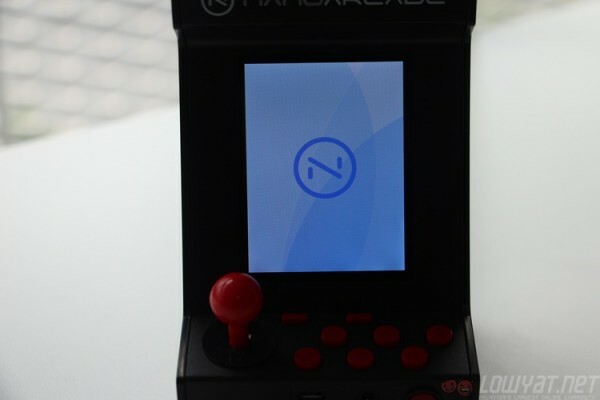 The choice of programming language is only a small part of the problems with the Nanoarcade. For one, the interface is slow; a problem compounded by the fact that NONE of the buttons are labeled. It is impossible to tell what a button does without pressing it. In-game, this is a mild inconvenience; in the menu, this is straight up maddening. The use of three regular AA batteries to power the machine is not so much aggravating as it is simply puzzling. Would it have been too expensive to use a rechargeable battery? This small problem is made even more interesting by the fact that the Nanoarcade has a microUSB port on the front, which is only used for data transfers when installing new games. 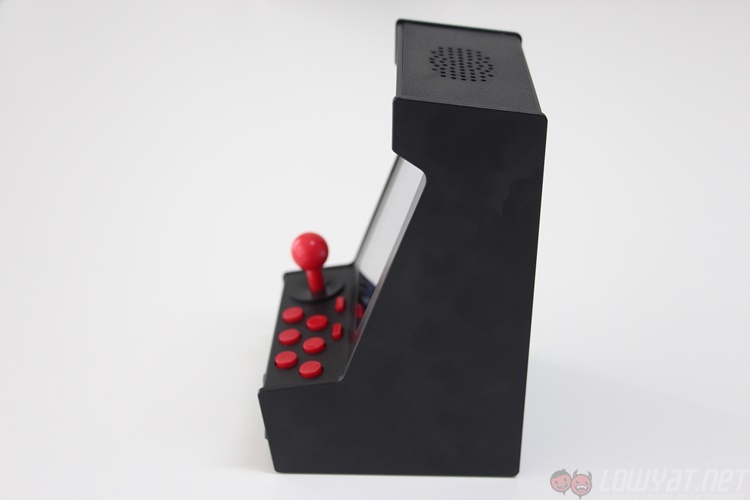 If you know someone who likes arcade machines and things from the 80s, this would make a great novelty gift. Otherwise, everything the Nanoarcade does can be replicated from any smartphone; and many featurephones if we’re being completely honest. 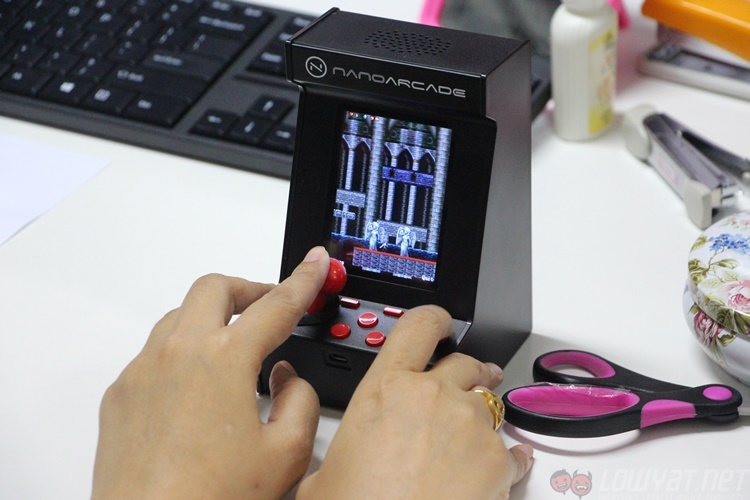 The lack of traditional arcade games like Street Fighter or even Double Dragon on the Nanoarcade makes this feel like paying top dollar to play pasar malam knockoff games. Our review unit of the Nanoarcade didn’t arrive with a few things. Notably, the template stickers for customising the arcade. This left me with a solid black chunk of plastic that honestly wasn’t nearly as interesting to look at. There was a distinct lack of personality without all that colour, and it certainly hurt the enjoyment of the machine.